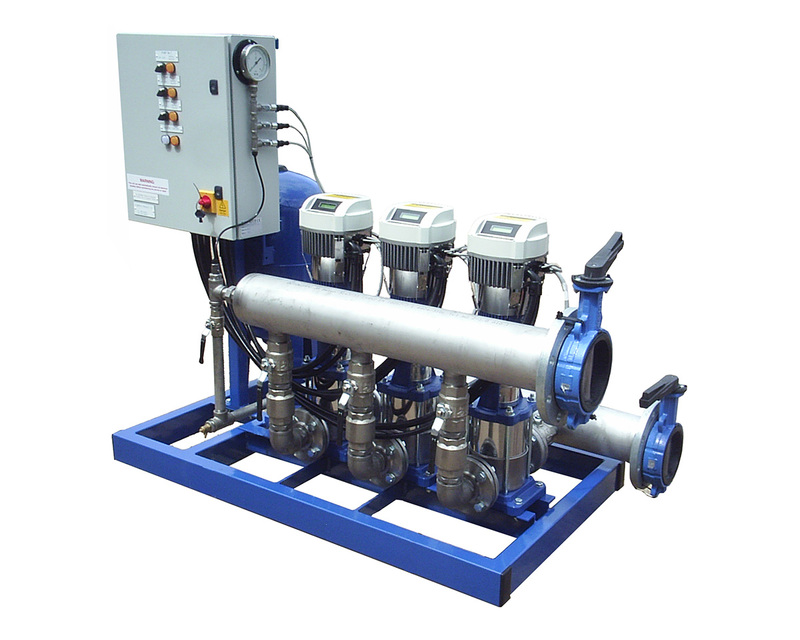 Multi pump variable speed booster set range. Close control hydraulic balance. WRAS listed pumps, valves & accumulator, pipe work 316 stainless steel. Optional electronic anti surge protection. LCD system / operation information incorporating system set point memory & fault log. Designed for ease of maintenance without water supply interruption. For full details download the pdf or contact our technical sales office for selection & price.